Please do not visit a patient if you are sick. No more than 2 visitors at a time. Upon arrival, please sign in at the front desk. All visitors will receive a badge to be worn during visit. Once your visit is complete, return to front desk, sign out and return badge. If the patient you came to see already has visitors in their room, you will be asked to have a seat in our waiting area. You will be allowed in once the current visitors return their badges. Exceptions will be made for critically ill patients. For the privacy, comfort and respect of our patients we ask that you please follow these visitor policies. Our policies follow guidelines set forth by the Department of Health and Human Services and Federal HIPAA regulations. Send flowers, balloons, etc. to a patient. (831) 636-6861 or (888) 623-9413. 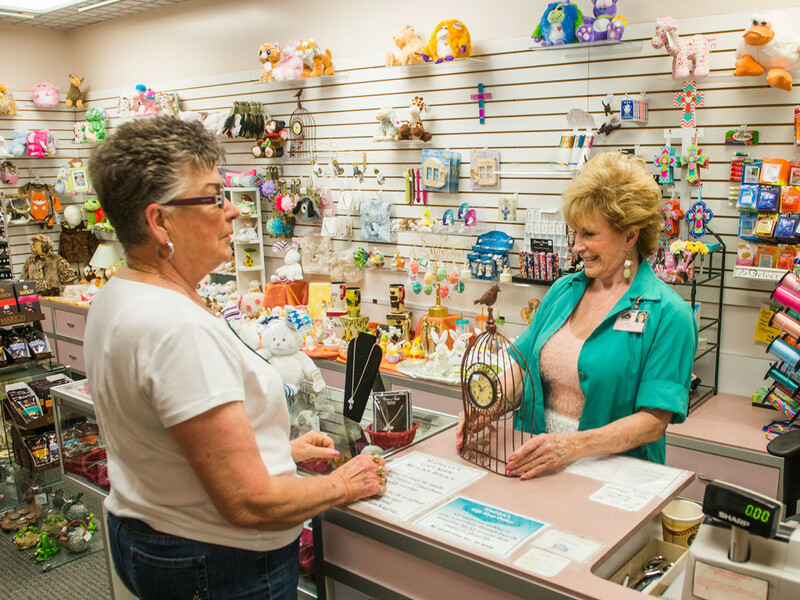 Madelyn’s Gift Shop is run by the HHH Auxiliary and is staffed by volunteers. They have a fantastic selection of cards, balloons, flowers and gifts for almost every occasion. They are located in the hospital lobby.